I've discovered the olive spoon, and now I have my own version. 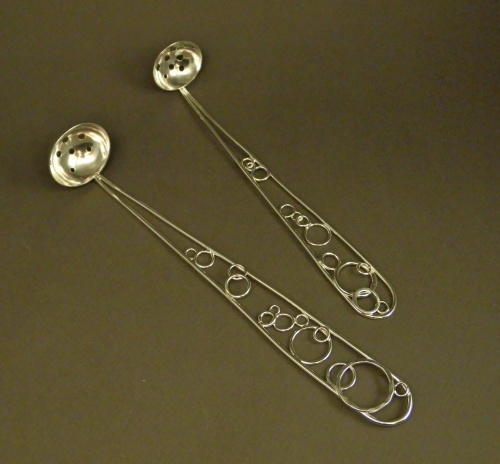 Borrowing the Bubbles theme from my pendant line, this spoon has a Bubbles handle, made of sterling with a small sterling bowl that has holes drilled in, to allow you to scoop out olives from a narrow jar. Most of the designer view their work as being art itself and the need is to focus only quality stuff like you've shared in this article. I hope you will be upload some of the new post soon. Keep it up!